Kate Winslet is one of my all-time favourite actors. She is awesome in everything that she is in, and always looks stunning on the red carpet. So I thought her latest look would be great to feature in my 'get the look' series. In case you haven't seen her at the premiere, you can see her look HERE. Laura Mercier Oil Free Primer - this is a great, hydrating primer. Lancome Teint Idole Ultra 24h Foundation - a good high-coverage foundation for Kate's flawless base. Benefit Hoola Bronzer - a matte bronzer to give the skin warmth and to use for contouring. MAC Bare Study Cream Eyeshadow - a light base for the eyes, great for making eyeshadow more long wearing. Dior Twin Shadow Stick in Beige - there are two sides to this. I would use the powder side to dust a little colour over the MAC cream shadow to give the eyes a tiny bit more depth. Benefit They're Real Mascara - a mascara for voluminous, thick and long wearing lashes. Tom Ford Brow Sculpter - a very natural brow product, for filled in and well groomed brows. Benefit Fine One One - a product for both cheek colour and highlighter, in-keeping with the warm tones that Kate has used for this look. Bobbi Brown Rich Color Lipstick in Sweet Nectar - a lovely lip colour for Spring, a great coral colour that is also hydrating, very similar to what Kate is wearing. So there you have it? Who's red carpet style are you feeling right now? Great products!! Her makeup was amazing!! 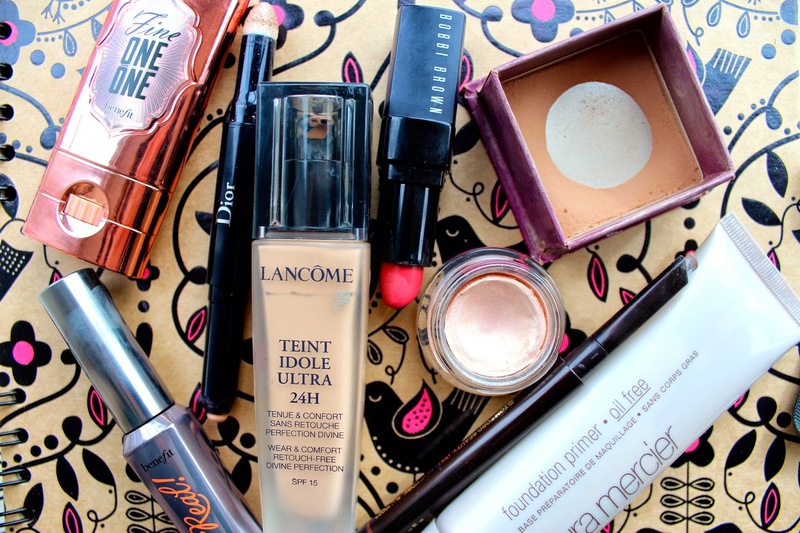 I love that Lancome foundation - it's so overrated in the blog world but I have tried all the 'big names' and think this is way better! !